All of our queens are open-mated in Calaveras county in Northern California. 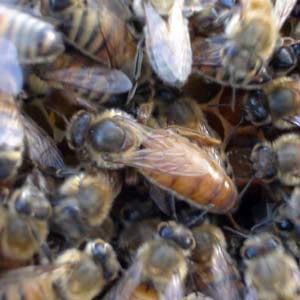 We carefully select the best breeder queens that we have in our apiary for use in queen production. We typically have queens available beginning in early/mid April. Please contact us for reservation and pricing information!